“Were you ever really good at playing hide and seek? Well, cavities are good at hiding, too. In fact, they hide in places even X rays can’t find. You may think these caries have the best hiding skills, but they’re really no match for DIAGNOdent’s cavity-detection power. DIAGNOdent is a device dentists use to find even small amounts of dental decay at the earliest stages using laser technology . Think of it as a cavity detector. 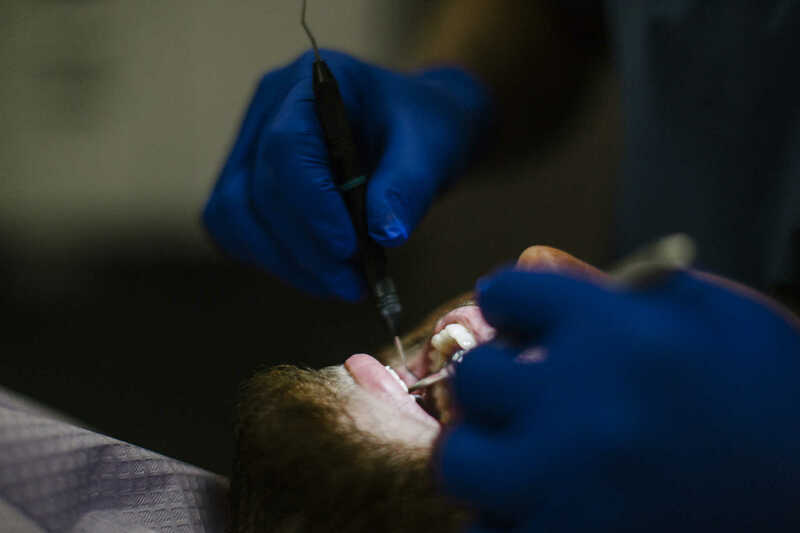 The dentist uses a laser to scan zones where decay is most likely to evade detection. When it detects any abnormality in the tooth, it fluoresces or emits a visible light and makes a beeping noise. The more decay, the more visible light and the faster the beeps. Numerical readings are also shown on the display of the DIAGNOdent. This tool provides dentists with immediate feedback – an advantage for both you and the dentist. 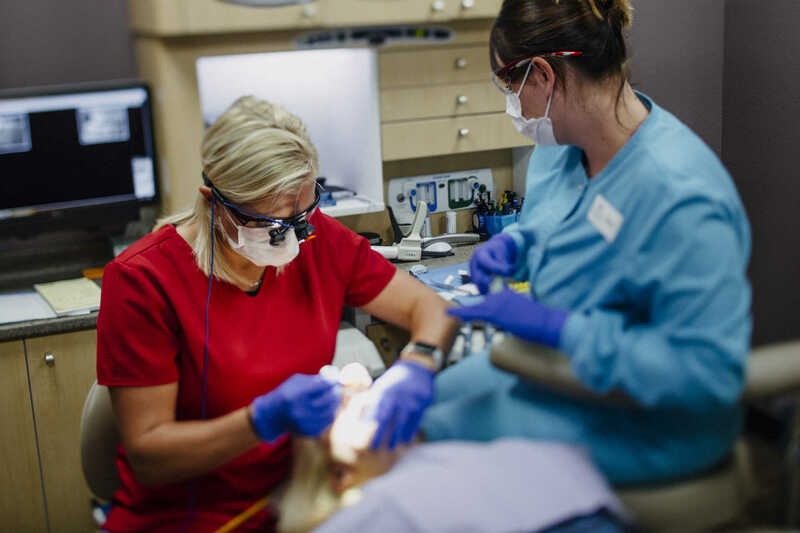 Early detection of caries will mean fewer fillings, faster appointments, and lower cost for dental treatments in the long run. Besides, wouldn’t you want your cavity detected as early as possible, before it becomes a pain in the tooth? 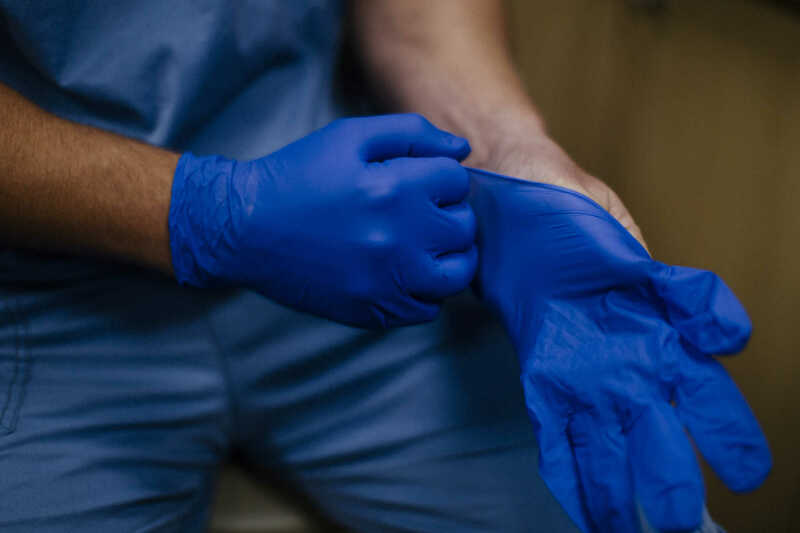 In striving to deliver the highest quality of care to our patients, we utilize as many advancements in technology as possible. All radiographic images we take are digital. Digital x-rays allow us the immediate evaluation of radiographic images and the ability to enhance them for easier and more thorough diagnosis. Most importantly, digital radiography reduces the radiation exposure to the patient by at least 70-80%! To take a digital X-ray, your dentist will place a sensor on the tooth that looks like a piece of film. Once the picture is taken, your dentist can adjust the contrast and brightness of the image to find even the smallest area of decay. Other benefits of digital X-rays are decreased exposure to radiation and reduced time to develop photos, which helps eliminate treatment disruptions. 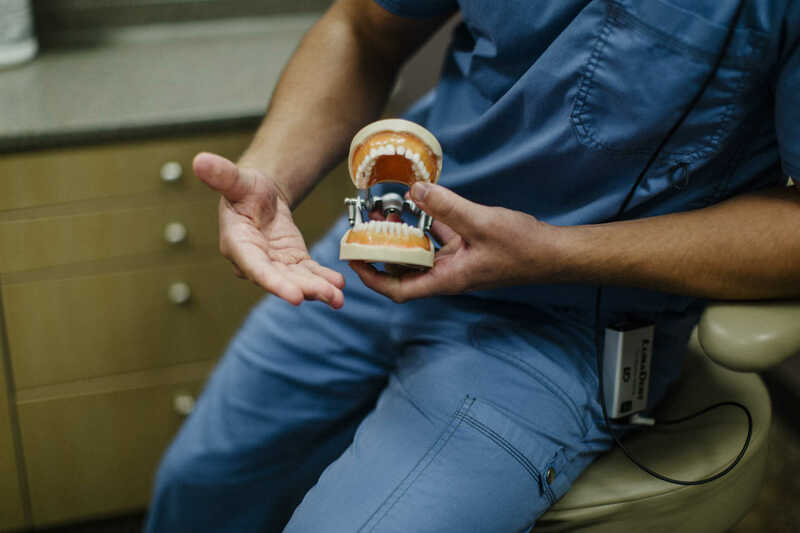 At Schindler & Stewart Family Dentistry, we work very closely with highly qualified oral surgeons in diagnosing the need for and treatment of dental implants. We have the ability to replace single or multiple missing teeth with very stable and natural-looking implant appliances of many designs. We make custom mouthguards in-office for athletes participating in any sport with the potential for orofacial injury. They provide optimal fit, retention and comfort. The mouth guards are available in many colors and can help prevent the need for high-dollar treatment to fractured or traumatized teeth. 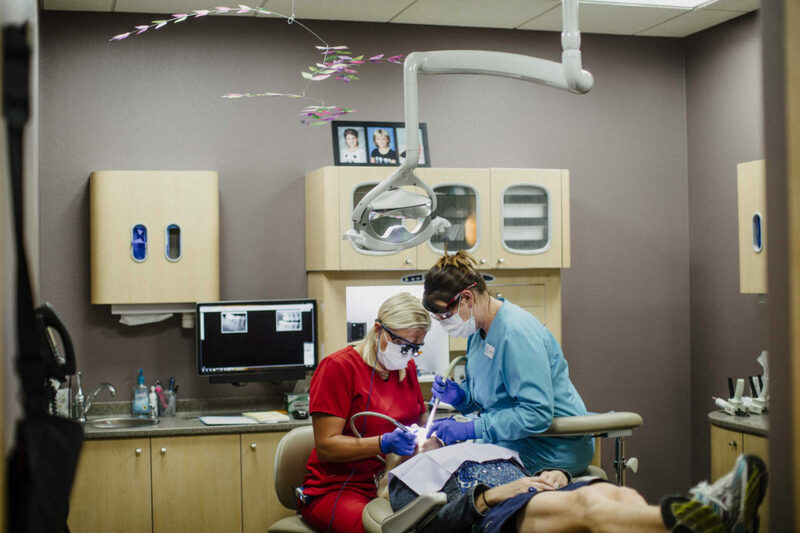 We have nitrous oxide, commonly called laughing gas, available for patients of all ages. It can help relieve anxiety and minimize discomfort during treatment. Nitrous oxide is mixed with oxygen and is inhaled through a mask placed over the nose. Its effects wear off soon after the mask is removed. In a world where esthetics are an ever-increasing concern, we feel it necessary to use white-colored tooth fillings whenever possible. 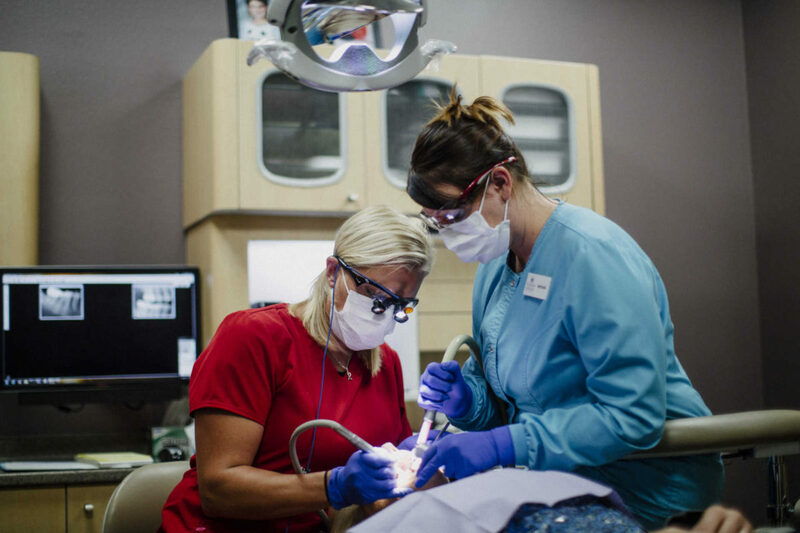 Not only do they closely resemble your natural tooth structure, but the bonded nature of these fillings can provide excellent strength and structure to a fractured or cavitated tooth. We offer both in-office and at-home treatment methods to give you the sparkling white smile you desire. Payment is expected at the time of service. 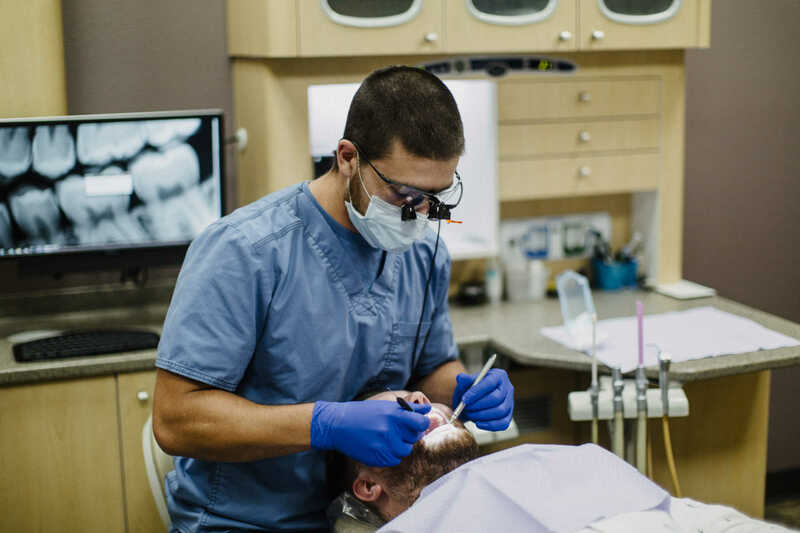 If you have dental insurance, we will gladly process your claims, but may expect an estimated payment for the portion that would not be covered. Care Credit (A healthcare credit card designed for your health and wellness needs that allows you to make convenient monthly payments). 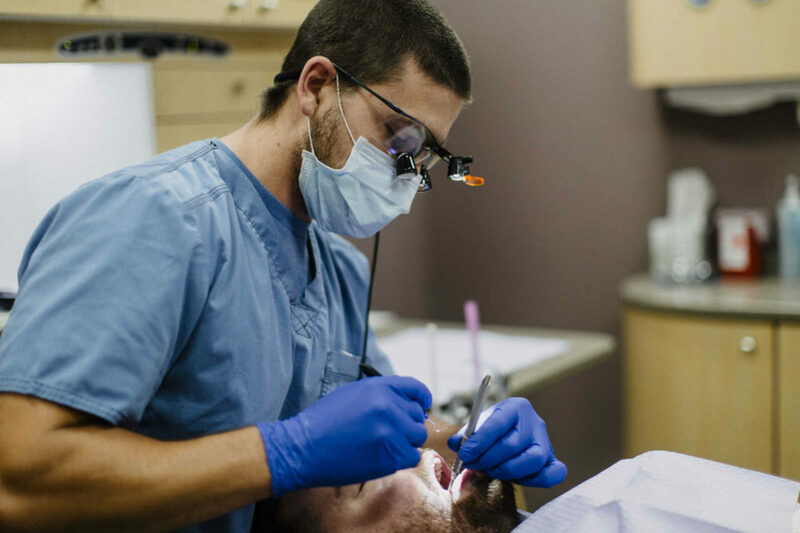 We are in-network providers with Delta Dental and Blue Cross/Blue Shield dental insurance companies. We will process the claims for other insurance companies as an out-of-network provider. It is your responsibility to verify your insurance coverage and assume responsibility for payment of all services you elect to have done. 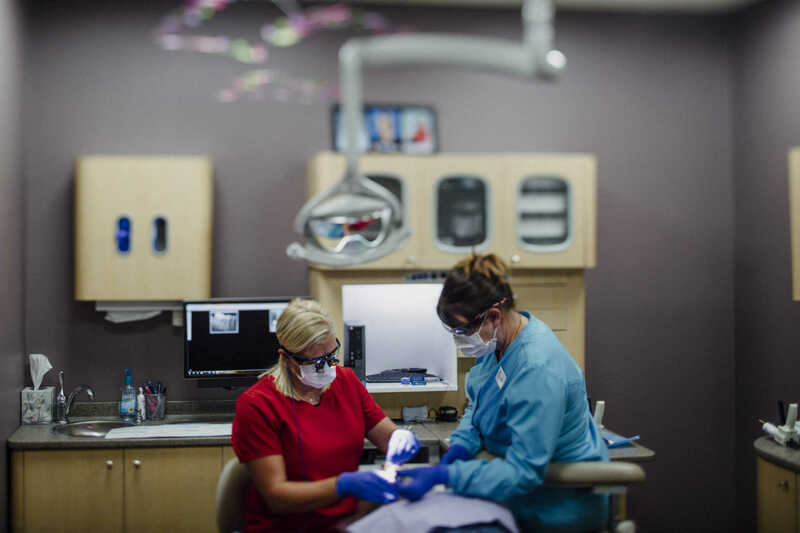 If you have any questions about payment options or your dental insurance plan, please call our staff at 701-223-3694.